The brand's Melbourne-based design department has produced a concept it says is theoretically capable of reaching a top speed of 480km/h and lapping Mount Panorama in 1:29.30s. Rather than being envisaged for races such as the Supercheap Auto Bathurst 1000, the concept is based around the single-lap, against-the-clock Time Attack format. GM Holden's Engineering team provided technical input, tapping into emerging technologies, with the design then produced as a digitally-printed 3D model. The end result is demonstrated in the virtual world, in a video to debut on Saturday October 6 as part of the 2018 Great Race broadcast. “The technology we employ today has transformed the way we design cars," GM Holden’s Design Director, Richard Ferlazzo said. "We have the ability to simulate a car’s appearance, technology and dynamics in convincing animations, which enables us to deliver better designs in a shorter time. "A large part of our work is advanced design and we use this technology to develop concept designs for our parent company, General Motors. "This concept is a digital advertisement for the advanced skills, capability and technology of the GM Holden team." Capable of covering 0-100km/h in 1.25 seconds, the concept is powered by four 250kW Axial Flux Permanent Magnet electric motors. That total output of 1,000kW is the equivalent of 1,340hp, with hybrid batteries that can be recharged in 90 seconds. Carbon fibre/kevlar composite panels form a body that channels prototype styling, the package weighing 900kg. Holden won Bathurst for the first time in 1968 with Bruce McPhee and Barry Mulholland in an HK Monaro. 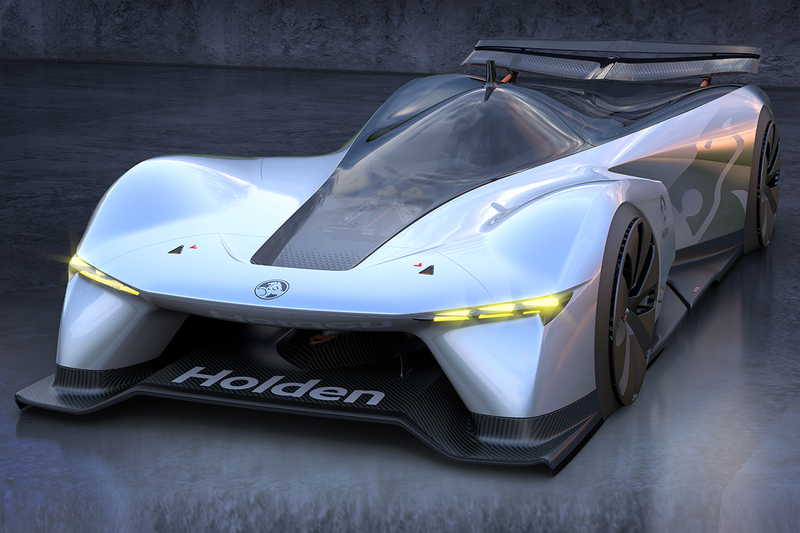 Its first concept vehicle, the Holden Hurricane, was unveiled the next year with motor shows a regular platform for further rollouts over the decades. “The cessation of motor shows in Australia left a hole in our automotive culture in some ways and we lost a forum to showcase our passion and creativity to the Australian public with physical concept cars," Ferlazzo said of the digital rollout. "However, with the realism and detail achievable through modern technology, I felt we could still deliver uniquely Holden concepts via virtual technology and digital media. "Concepts are always meant to push the boundaries but are even more impactful when they are feasible and this concept is plausible as an advanced racer of the future. “Automotive Design and Engineering remains a core strength and competitive advantage for Holden and for Australia. 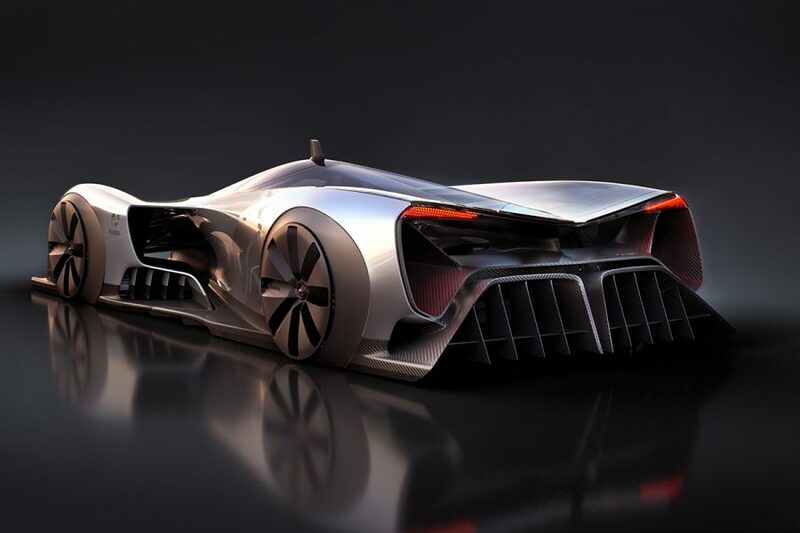 "The Time Attack Concept racer is an illustration of how we can utilise cutting-edge technology to develop transportation solutions for the future. "You can see from the extremely detailed approach to incorporating the advanced technology in our Time Attack Concept racer that this is more than just a visual exercise. "Holden’s recent announcement of the expansion of 150 new engineers to our Advanced Vehicle Development team means we have the talent, resources and technology to continue delivering to that charter."